To tackle its substantial HIV and tuberculosis (TB) burdens, South Africa continues to rapidly scale up its response to both diseases. 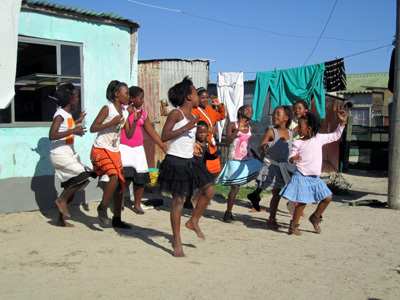 Over the past decade, the government of South Africa (GoSA) dramatically increased its financing for HIV and TB programs. Rapid scale-up requires credible resource needs estimates to inform budget allocations. In the spring of 2015, South African officials and experts, in partnership with UNAIDS, finalized the detailed HIV and TB Investment Case that laid out the resource requirements for achieving the country’s coverage goals. Next came the complex task of translating the Investment Case’s findings into recommended budget allocations in South Africa’s Medium Term Expenditure Framework (MTEF), wherein the GoSA determines its budget plans for the next three financial years. Through intensive engagement in July–September 2015, the USAID/PEPFAR-funded Health Finance and Governance Project (HFG) supported the GoSA National Treasury (NT) in its analysis of HIV and TB budget bids. Each year, NT solicits bids from other national departments for additional funding or to redistribute resources across departmental programs. In this case, the HFG team validated the National Department of Health (NDoH)’s bids against data from the HIV and TB Investment Case and advised both NT and NDoH on how to strengthen the submissions and prioritize investments given general fiscal constraints. USD 19 million (ZAR 240 million) in 2017/18 and USD 40 million (ZAR 500 million) in 2018/19 for expanding TB interventions, including active case finding, improved diagnostics, and chemoprophylaxis for people living with HIV and other high-risk groups. Therefore, in addition to the expected USD 80 million outer-year augmentation for ART, the evidence-rich budget bids review process yielded a further USD 24 million in 2017/18 and USD 51 million in 2018/19 for the HIV and TB response in South Africa. To accommodate the additional TB funding and maximize its impact, the government expanded its main financing mechanism for the HIV response to create the Comprehensive HIV, AIDS and TB conditional grant. HFG played an important support role in enabling these successes. [i] For HIV the 90-90-90 targets are that 90 percent of people living with HIV will know their HIV status, 90 percent of people living with HIV will receive sustained antiretroviral treatment, and 90 percent of those on treatment will have durable viral suppression. For TB the targets are that 90 percent of high risk and vulnerable groups will be screened for TB, 90 percent of prevalent TB will be diagnosed and treated, and 90 percent of TB treatment will be successful (or 75 percent for drug-resistant TB). [ii] Meyer-Rath G, Chiu G, Johnson L, Schnippel K, Guthrie T, Magni S, Pillay Y, Abdullah F, and Kiwango E on behalf of the Investment Case Task Team and Steering Committee. 2015. “South Africa’s Investment Case – What are the country’s “best buys” for HIV and TB?” [PDF slide deck].